Nylon conduit system protects sensitive cabling in industry control and industry robots. EMC screening is becoming a necessity in an increasing number of applications, particularly in industry automation where electromagnetic interference can compromise the performance of complex and sensitive equipment and data cabling systems. 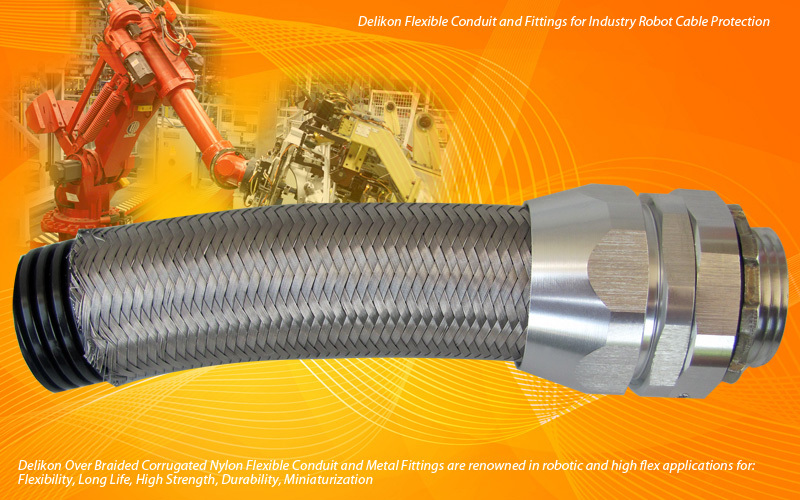 DELIKON has introduced a range of braided nylon corrugated conduit & metal fittings with EMC screening capacity.